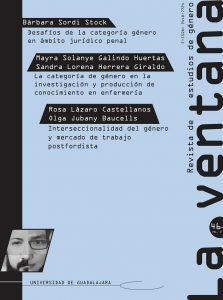 La Ventana publishes an article by Rosa Lázaro and Olga Jubany titled Interseccionalidad del género y mercado de trabajo postfordista. This article analyses the different oppression and privilege systems related to gender, class or origin, experimented by women who participate in temporary work programs. The empirical data comes from ethnographic research. The proposal is located in the recognition of the difference between women, a topic in contemporary feminist theory. We rely on intersectionality to make visible the multiple discriminations that women perceive in their everyday life, and the intersection of the hierarchical axes in the international labour market.